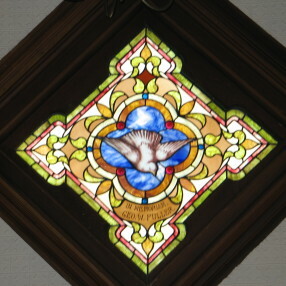 All are welcome at Bartlett Memorial Church UMC. 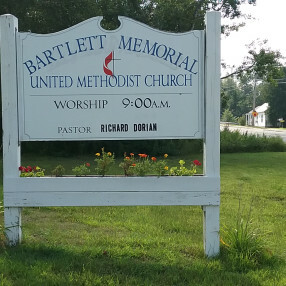 Bartlett Memorial United Methodist Church is a family friendly, traditional church that welcomes visitors and is open to the community & public. 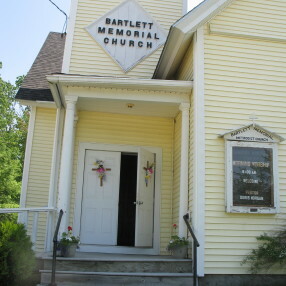 Bartlett is open every Sunday year round and meets for worship at 9:00 am. 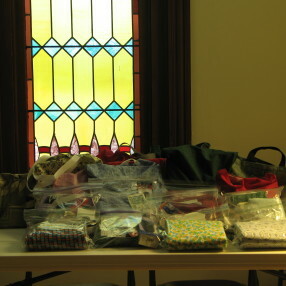 The Thrift Shop is open from spring through the fall, from 9:00 a.m. to 3:00 p.m. Donations welcome. Accessibility entry by the front door. Open Saturdays June to September. 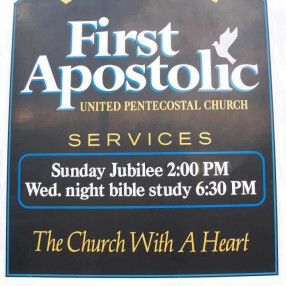 Historical roots of Methodism go back to 1794 when Early Methodist Circuit Riding Preacher Jess Lee preached in Jay, Maine. Early Methodism included lots of home church gatherings and circuit riders from 1815-1869. 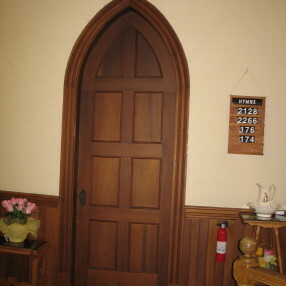 The Methodist Society was formed in North Jay, Maine in 1880 by a quarry stone cutter, Charles Williams, and was first held at private homes and at the North Jay Grange Hall. 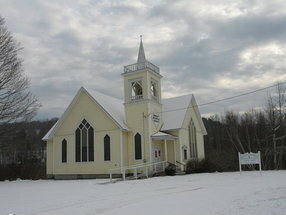 Bartlett Memorial Methodist Church was constructed in 1897 on part of the Bartlett farm owned by Mr. and Mrs. Hannibal Purington. Mrs. Purington's parents were Mr. and Mrs. Ichabod Bartlett, previous owners, and Miss Margaret Holt's great grandparents. Pastor George Donald and wife Marjorie Donald were long-time dedicated workers for the church. 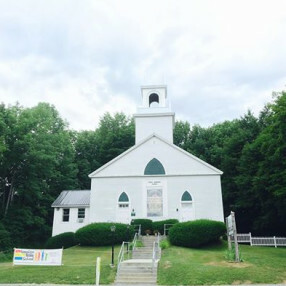 Bartlett Memorial UMC is a servant church in the heart of North Jay, Maine. The laity are committed to serving their community with their time, talents and gifts. This happens every Sunday Morning with gathering for a thoughtful and welcoming service. They are also very hard at work with the Thrift Store next to the church, which is open every Saturday from 9:00 am - 3:00 pm with bags of items for $1 or priced as marked. They have wonderful clothing and many useful household items. They are present to show their love and care to their neighbors. The Annual Candle Lighting is a spiritual experience. The Nativity Story relates that Jesus is the Reason for the Season. Preparation with prayer on Wed. Dec. 19, 11:00 a.m. to 1:00 p.m. weather permitting. Christmas Eve Service & Annual Candle Lighting December 24th @ 6:30 p.m. Attend and ask a friend to join you. Prayer Days Jan. 16th & Feb. 20th, 2013. Please pray where ever you are. Bartlett Memorial UMC is a doors open, God loving, Bible teaching, Praying, Jesus walking church that provides the fellowship and spiritual needs of the congregation and the community. 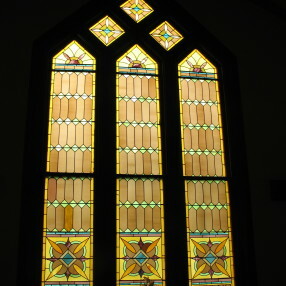 The beautiful stained glass windows radiate the light that reminds us of God. Missionary activities include providing school bags for children, baby clothing, food pantry support, and a summer Parish Thrift Shop. 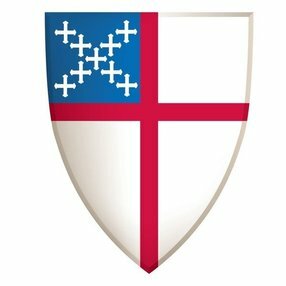 Enter your email address to receive an informative welcome email from Bartlett Memorial United Methodist Church.